The heated arguments for and against palm oil may end with trade deals. 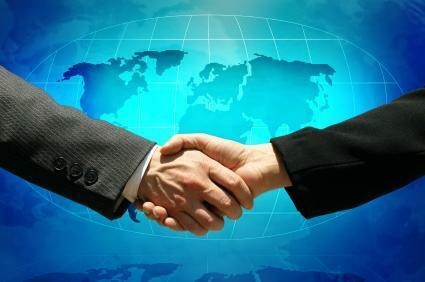 Current trade negotiations between nations could see many of them ratified in the near future. Activists, especially those in Europe have long rode the appeal of the gentle orangutans to push their campaigns to ban the use of palm oil in their markets. Industry push back in recent years has demanded the right to development and poverty eradication which they claim, palm oil affords. The activist campaigns under the popular banners of saving forests to fight climate change may have won the day as public policies seek to ban palm oil from biofuels in Europe but as economies struggle globally, trade deals between palm oil producing countries of Malaysia and Indonesia and Europe may make these arguments irrelevant. A simple case of this is Pakistan, which is one of the biggest importers of palm oil. It is using its position to leverage better economic benefits from its imports by asking Indonesia to support downstream industries which it hopes, will lead to growth in domestic manufacture of consumer goods i.e more jobs. On the other hand, it has indicated to Malaysia that the imbalance in trade must be rectified if Malaysian palm oil is to continue enjoying a reduced tariff. Indonesia which has been losing market share in Pakistan to Malaysia is keen to ratify its trade deal with Pakistan to protect its palm oil exports. The intricate negotiations between Pakistan and its palm oil supplier countries provide insights into what will happen to trade deals involving EU members and Malaysia and Indonesia. Both palm oil producing countries have stated that there can be no exclusions in a trade deal. As the multiple trade negotiations continue, a good example of this no-exclusion position can be seen in Switzerland`s talks with Malaysia and Indonesia. As reported in early 2018, the parliament canton of Geneva voted unanimously to exclude palm oil from free trade talks based on the `catastrophic environmental and social consequences of palm oil.” The Swiss senate saw it differently and voted in favor of an inclusive trade deal which would not ban palm oil but will put extra measures to protect its domestic oil seed industry. Ireland which is trying to make inroads to Malaysia and Indonesia with its meat and dairy exports will likely have to make similar concessions even as it tries to protect its rapeseed industry which supplies to the EU demand for biofuels. Ireland’s position on the sticky issue of biofuels has been that it is opposed to any ban except when it is on palm oil. The UK which is exploring its post-Brexit scenarios is faced with a similar challenge of whether it can protect its tech heavy exports while toeing the line on deforestation. Even as the demand for “tough action on deforestation to meet UN goals” is made by the signatories of the Amsterdam Declaration which includes the UK, those responsible for shaping trade deals are well aware that the palm oil producing countries of Malaysia and Indonesia are quoting another UN goal. That of the Sustainable Development Goals. Indonesia’s Director general for international trade negotiations at the Trade Ministry, Iman Pambagyo, has asked for fair trading practices if restrictions on commodities are made. Even on the issue of certifications to avoid imported deforestation, leaked papers said that the UK would favor higher palm oil imports from Indonesia. The common goals for a sustainable global community is based without doubt on the ability of which countries are able to produce what best. If Indonesia is able to produce a superior vegetable oil for food for fuel which in turn provides funds for the country to buy into tech products from other countries, then that should form the foundation of global sustainability. There is no room for either party to make claims for exceptions.To leave the option to the Indonesians to grow rapeseed in order to qualify under the EU’s biofuels requirement is just as foolish as asking Irish farmers to grow oil palm. ·There is no specific or explicit reference to palm oil in this agreement. ·The outcome in no way constitutes a ban or even a restriction on the imports of palm oil or palm-oil based biofuels. The relevant provisions in the Directive only aim to regulate to what extent certain biofuels can be counted by EU Member States towards reaching their sustainable energy targets. There is one sticky point in the agreement that brings up the strange science of ILUC or Indirect Land Use Change. The major palm oil producing countries of Malaysia and Indonesia have rejected the EU’s attempts to include ILUC in its RED II directives. ILUC will likely become a non-issue as trade talks boil down to the nitty gritty issue of deforestation which is real and quantifiable. The discussions taking place in the EU’s Sustainability Impact Assessments (SIA) with Malaysia and Indonesia is expected to work out any concerns the EU may have on environmental and social issues. As the EU Parliament considers its options on trade with Malaysia and Indonesia and whether to phase out palm oil in biofuels by 2030, there are some important considerations for the decision makers. The current trade relations between the EU and the three Southeast Asian palm oil producing countries of Indonesia, Malaysia and Thailand shows EU goods exports to the three countries amounted to EUR 39.5 billion in 2017 and supported at least 354,000 jobs in the EU. Unlike the wonky science of ILUC, these are hard facts and real European jobs that the EU must be prepared to lose if it insists on picking on palm oil. UPDATE December 17 2018. Indonesia signs economic agreement with the European Free Trade Association.